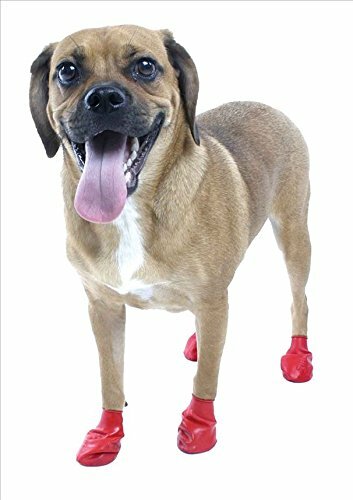 Do you think that dog boots are just for fashion and they do not have any benefits? Then, you need to think again and again. The best dog boots can provide all sorts of protection to the paws of your four-legged companion. The winter months can be really rough on the paws of your dog. Exposure to the bitter cold, snow, sleet, chilly rain, and slush can cause trauma, cracking, frostbite, and drying to your fur friend’s feet. So, their paws need special care during winters. The best dog boots for winter will provide proper protection to the feet of your dog. ​How to Select the Best Dog Snow Boots? Some people still think that the concept of dog boots is silly. However, dog boots for winter are really functional and they provide your dog with comfort and warmth from cold. ​Winter and snow cause many threats to dogs. Just like human beings, your four-legged friends are also susceptible to hypothermia and frostbite. Providing proper protection to a dog is the responsibility of a pet owner. You can protect your pet from harmful winter weather by giving them the best snow boots. These types of boots are designed for protecting dogs from cold and preventing snow from accumulating on their paws. Besides keeping your pooch warm, dog boots will keep the feet of your dog dry and clean. It is also good for preventing their feet from getting injuries while playing or walking. 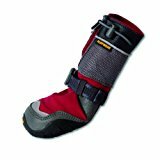 • Lots of practical yet stylish winter boots for dogs are available. So, you need not worry about finding the best boots for your fur friends. Before purchasing boots for your dog, you should evaluate the things you are going to do with your dog during winter. Many types of boots are available for hiking, jogging, etc. Normally, these types of boots are sturdier than boots designed for regular walks. • Therefore, you need to take a decision regarding the activities you and your pet will be doing, how often you are planning to provide boots to your dog, and where you are planning to go. • While selecting boots of your dog, try to pick boots that made of thicker material. The winter season will be really cold, so you need to ensure that the feet of your dog are as warm as possible. The show material should waterproof, so the melted snow will not seep into the paws of your pooch. • Ensure to find the right shoes for your pet. Just like your shoes, the snow boots of your dog may also fit a little differently. Thus, you should check the size of the boot before purchasing. 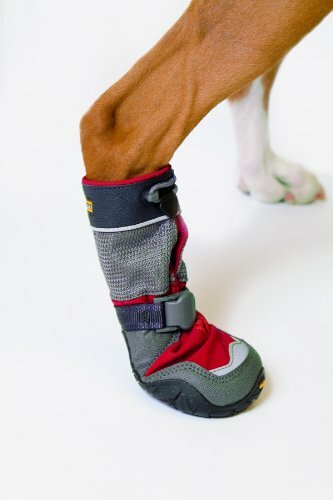 • Consider the fit and comfort while purchasing boots for your dog. There should be enough space for accommodating the foot of your dog including their toenails. The boot should be soft and sturdy, so they can walk comfortably. If the boot is too loose or too tight, it will not be comfortable for your pet. 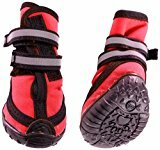 • The snow boots of dogs should have good sole traction, which is essential for providing stability to your dog. Thus, you can prevent your pet from slipping on wet pavements or into the snow. • Ensure to pick shoes that provide the best protection for the feet of your dog. Though the price is a constraint for cost-conscious pet owners, you can pick the best shoes at an affordable price if you spend a few time for researching. Pawz Water-proof Dog Boot is manufactured by using all natural materials. Thus, they are waterproof, reusable, and disposable. It can provide proper protection to your dog from snow, ice, lawn chemicals, salt, and hot surfaces. The Pawz Water-Proof Dog Boot does not have any padding, so your pet feels that they are still on the ground. Natural rubber is used for manufacturing these dog boots. ​The boots of Pawz are 100 percent biodegradable. 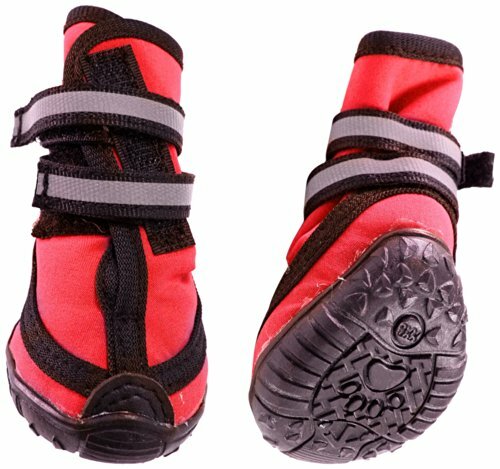 Pawz Water-Proof Dog Boot is durable and at the same time fashionable. They come without straps or zippers, so they can be used very easily. Your dog will get the most natural feeling when they wear these boots. Fashion Pet Performance is sporty waterproof dog boot, which is great for keeping the paws of your pet clean during winters. Breathable and flexible upper offers great comfort. It has molded rubber bottom, so these boots are highly durable and waterproof. It comes with elastic straps with reflective tape, so it provides maximum safety while walking at night. The boot is machine washable, so it is very easy to keep it clean. The Velcro closures are helpful for providing proper protection to your dog’s paws from the outdoors. The Polar Trex dog boots are designed for providing traction and warmth in high-demand winter conditions. Thus, it offers maximum durability and comfort in severe weather. The boot comes with 3-layer laminated soft shell upper, thus it is highly water and winter resistant. The boot is treated with a DWR finish, so it very extremely breathable. which is helpful for keeping the boot securely on your pet’s paw. Usually, winter dog booties are styled in leather, rubber, or synthetic materials like waterproof, nylon, etc. They also come in different designs. Pets that spend most of their time in indoors need soft boots with rubber soles. 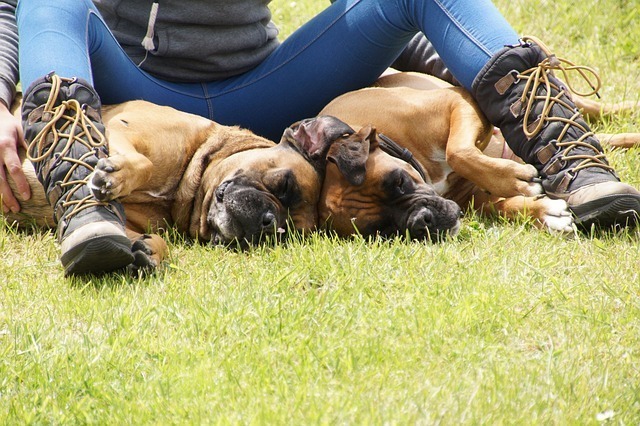 However, if you and your dog are planning to spend most of the time outside, then your pet needs bulky winter boots. The strong rubber soles of these boots provide slip-free security to your dog. The best dog boots will also provide professional-grade protection from ice, snow, cold, thorns, sand burrs, or mud. best dog boots for hiking. If you have time don’t forget to read them.